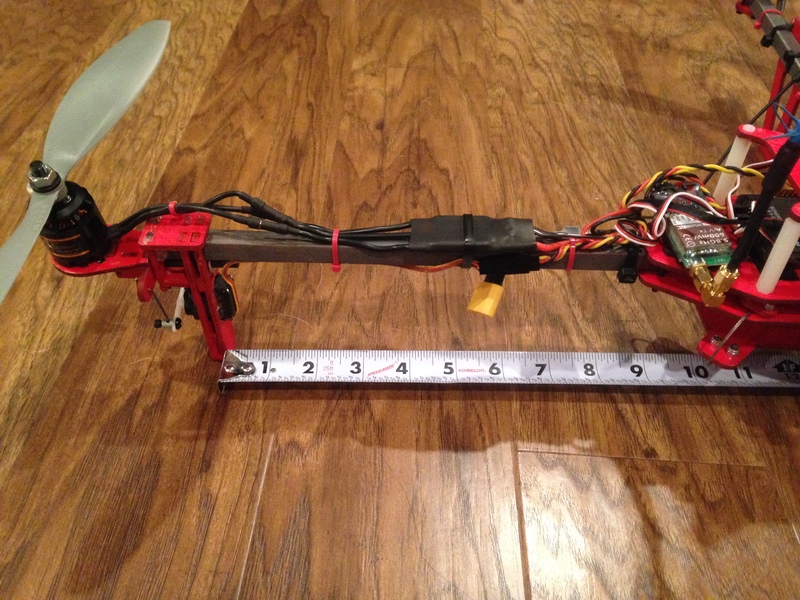 In this episode of Maker Hangar, I show you how to finish building your tricopter. You learn how to solder all the ESCs together and finish bolting together the tricopter. In the next episode I’ll teach you about flight controller boards and how to set up one for your tricopter, stay tuned! If you want more information about how to solder together your ESC wires or how to solder your connectors on, you can go check out Episode 8 of the first season of Maker Hangar. When assembling your two body halves make sure the bottom plate is flipped so the brackets that hold the wire rope are on the inside of the body. If the brackets are on the outside there won’t be enough space to fit your battery between the body and camera tray. When positioning the tail boom, make sure the space between the back of the tail assembly and the body is between 8.5″ and 9″. If you haven’t already purchased your kit, or if you want to see what else you will need to complete yours you can check out the product page for more information.